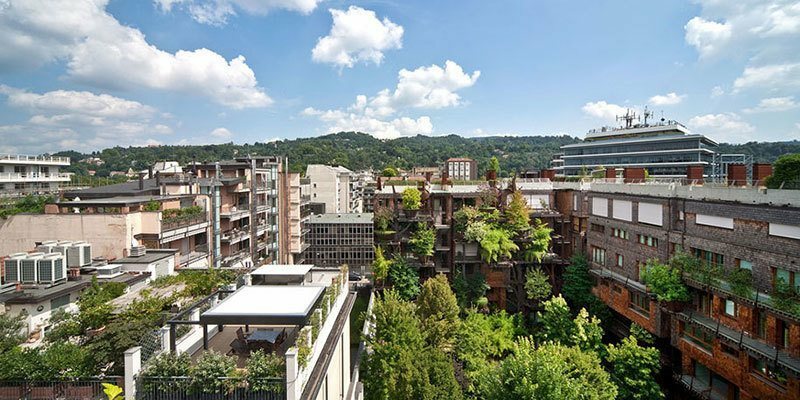 Located in Turin, Italy, 25 Verde is every city-dwelling, nature-loving person's dream. 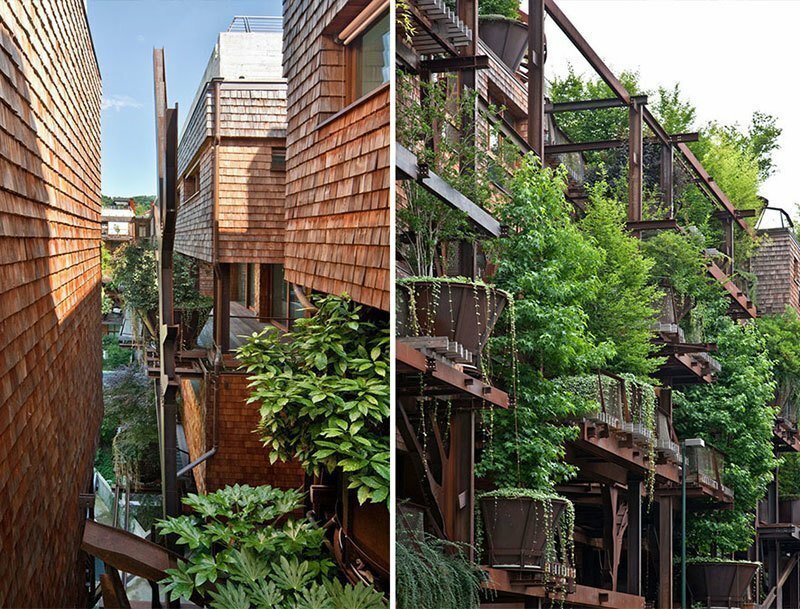 This urban treehouse is every city-dwelling, nature-loving person’s dream. For the first time ever, people in Turino, Italy can enjoy the convenience of living in the city without giving up the ease and beauty of nature. 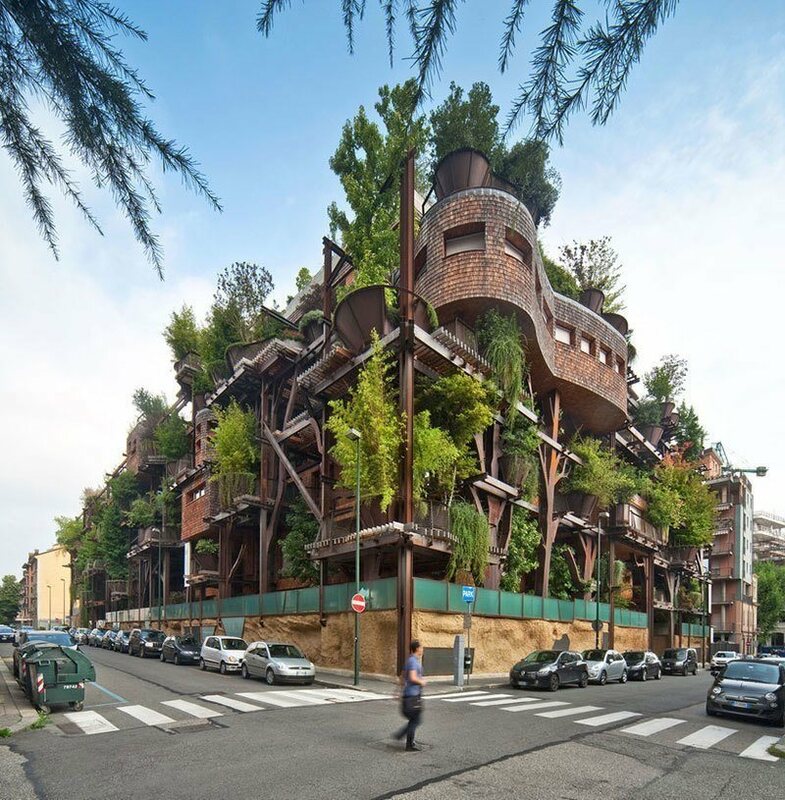 Named 25 Verde (aka 25 Green), this eco-friendly structure was designed by Italian architect Luciano Pia, who has been working on the designs since 2007. 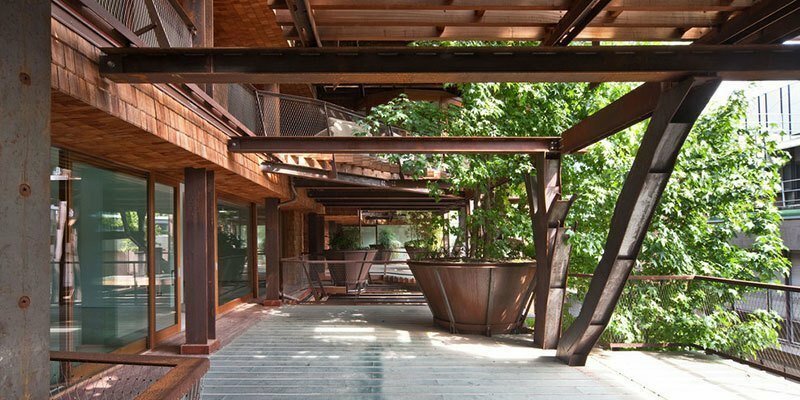 The five-story Italian building includes 63 units, tree-shaped steel support beams and a variety of trees and plants. 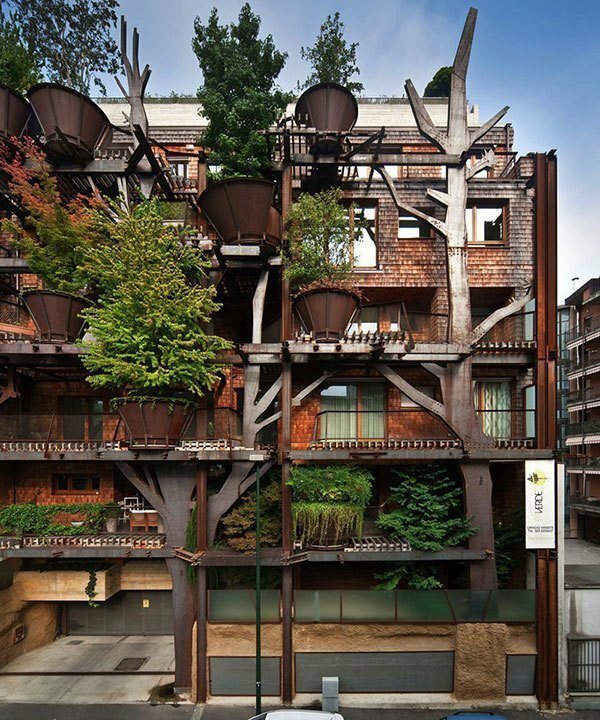 Residents of the urban treehouse aren’t just enjoying the view, they’re also benefiting from cleaner air and reduced noise. At 25 Verde, the terrace’s 150 trees create around 40,000 gallons of oxygen (per hour during daylight times), and absorb more than 52,000 gallons of carbon dioxide an hour during the night. 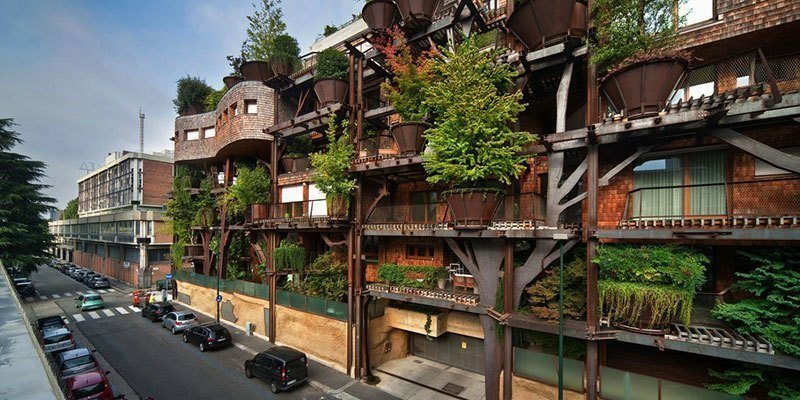 Pia carefully chose all of the flora that comprise the urban treehouse to maximize both function and flair. The chosen foliage blocks sunlight in the summer months, while maximizing light exposure during winter to help naturally provide heat. From large vases on the terrace to roof gardens near the front of the lofts, diversity is key. These native, deciduous plants were chosen to make the most of natural color, and to ensure that plants would bloom in all seasons. 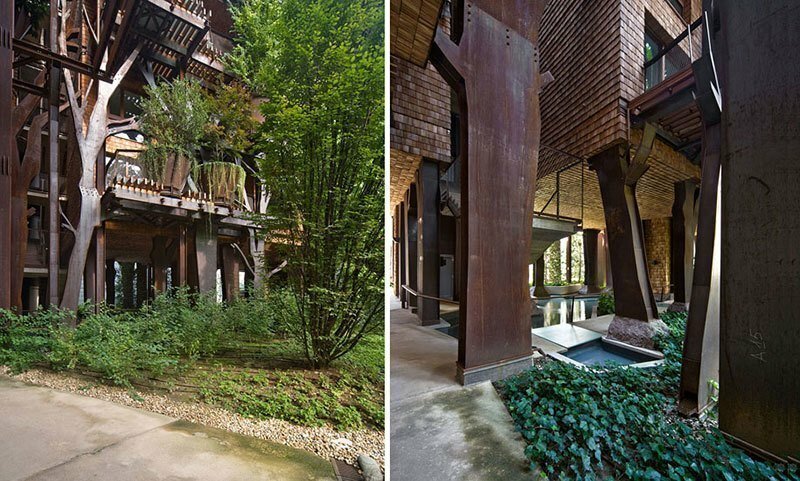 Veteran architect Luciano Pia has been designing structures for decades—ever since he graduated from school in Turino in 1984. Since then, he has been part of numerous projects, making a name for himself across Europe. According to Pia, 25 Verde is, “A special building because it is alive: it grows up, it breathes and it changes.” Special is an understatement. 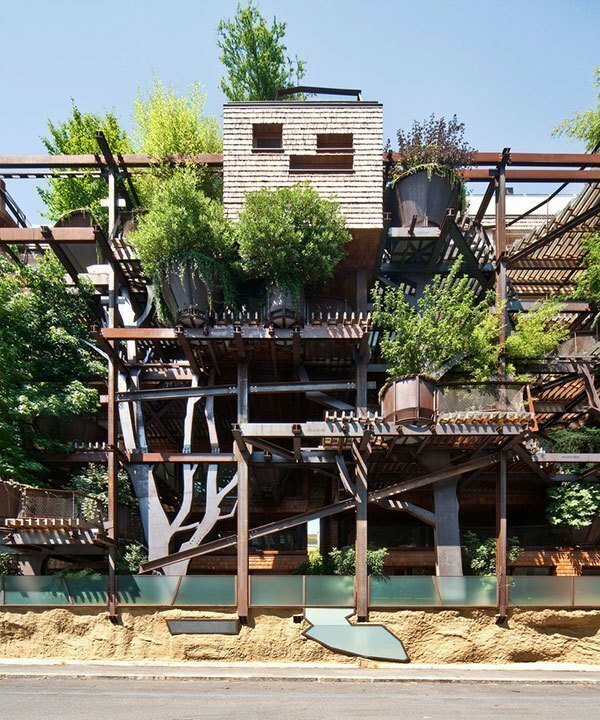 Tour more of the world’s most fascinating treetop dwellings at Washington’s captivating treehouse point hotel.